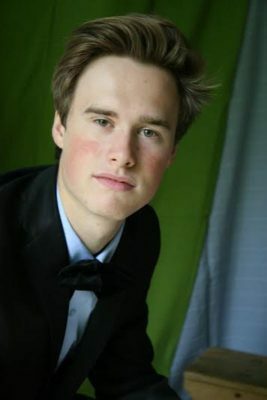 Vadim Lacroix – First price of the Cavatine 2012 National Piano Competition, Vadim Lacroix is currently completing his piano bachelor in Vienna, Austria. – He has given several recitals in Belgium (Brussels, Namur, Rochefort), Italy (Trieste, Monfalcone, Sistiana), United States of America (Nashville Tennessee and Dallas Texas), Austria (Salzburg), and has recorded for the RAI. Vadim had the chance of studying in Vienna with Sybilla Yudicke, in Belgium with Daniel Blumenthal, and Yuka Izutsu, and in Italy with the Trio di Parma. – In addition,Vadim was selected as one of the Six students Covering the Queen Elisabeth contest 2016 on Radio, TV, and press for the RTBF and VRT, as part of LesSix/DeZes. Anett Csikos, violin, was born in Budapest (Hungary). In 2001 she moved to Belgium where she started to play violin two years later at the age of 5 at the Tchaikovsky Music School with Mr. Igor Tkatchouk. She has continued her violin studies with Mr. Yossif Ivanov at the Royal Conservatory of Brussels. In recent years, Anett has received numerous prizes at national and international competitions. – In 2007, she won the 1st Prizes at the ‘FLAME’ in Paris. – In 2008, she became first Prize winner at the Arthur Grumiaux Competition for Young Violinists (formerly “Bravo!” competition) in Brussels and second Prize winner at the Kocian Violin Competition in Czech Republic. – In 2009, she won the 1st Prize at the ‘FLAME’ competition in Paris and the ‘Postacchini’ competition in Italy. – She won the 1st Prize and the public Prize at the ‘Rotary Breughel’ in Brussels (April 2010) and the 1st Prize at the European Competition for YOung Soloists in Luxembourg (November 2010), the Arthur Grumiaux Competition for Young Violinists 2012 (formerly “Bravo!” competition) in Brussels and the Belfius Classics formerly Dexia Classics) in November 2013. 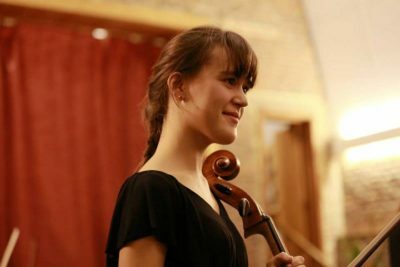 Aline Masset, cello, born in 1999, began playing the cello at the age of six, first with Marine Horbaczewski, then with Laurent Chantraine in the Académie de Seraing. 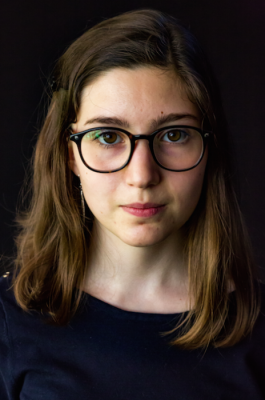 She entered the Conservatoire de Liège in 2013 where she pursued chamber music, composition and solfège courses, and has been studying with Eric Chardon in IMEP since 2016. 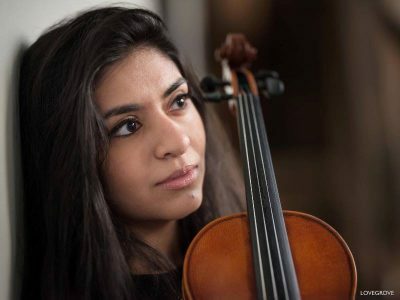 She especially had the opportunity to take part in different orchestral projects with the National Belgian Orchestra (2014), the Royal Chamber Orchestra of Wallonia (2017), the Royal Opera of Wallonia (2018), and to play several times as a soloist with the CIMI (String Orchestra of the University of Liège). 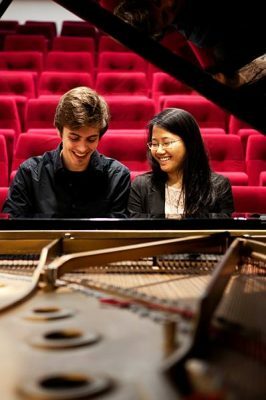 Hiu-Man Chan and Tim Mulleman got to know each other at the Royal Conservatory of Brussels in the piano class of Jan Michiels, with whom they also followed lessons as a duo. They already share the same piano chair for four years, which gave them a lot of concert experience and a broad repertoire. Their latest program ‘The Oriënt-Express’, connecting Claude Debussy and Franz Schubert, proved to be successful with a small tour throughout Flanders. The duo opened Het Festival van Vlaanderen in Gent, played at the Gross Festival, the concert seasons in the MIM (Music Instruments Museum), etc. Maria Portela Larisch starts learning the piano at the age of five. Three years later, she starts to learn the violin and enters the Children’s Choirs of la Monnaie – Royal Opera House of Brussels. There, she begins her vocal learning in the Preparatory Choir, pursues it in the Maîtrise and finally, in the Choraline. In 2013 she takes her first singing lessons with Eunice Arias before integrating the IMEP (Institute for Music and Pedagogy of Namur) in 2015, in the classes of Ana-Camelia Stefanescu, Benoît Giaux and Eunice Arias. Having integrated the Choir Academy of La Monnaie (MM Academy) in 2016, Maria Portela Larisch has sung the roles of un’Apparizione in Verdi’s « Macbeth », un Pâtre in Fauré’s « Pénélope » (concert version) and Mála Bystrouska in Janácek’s « Foxie ! The Cunning little Vixen », all three at La Monnaie. This gave her the opportunity to work with conductors such as Michel Plasson, Antonello Macacorda, Alain Altinoglu, Paolo Carignani, Hervé Niquet and stage directors such as Romeo Castellucci and Christophe Coppens. In 2016 she won the third prize of the first category (15-19) of the contest “Triomphe de l’Art”. In parallel, she pursues her piano training with Etienne Rappe et is now finishing her second year of Bachelor with Jacqueline Lecarte at the IMEP.